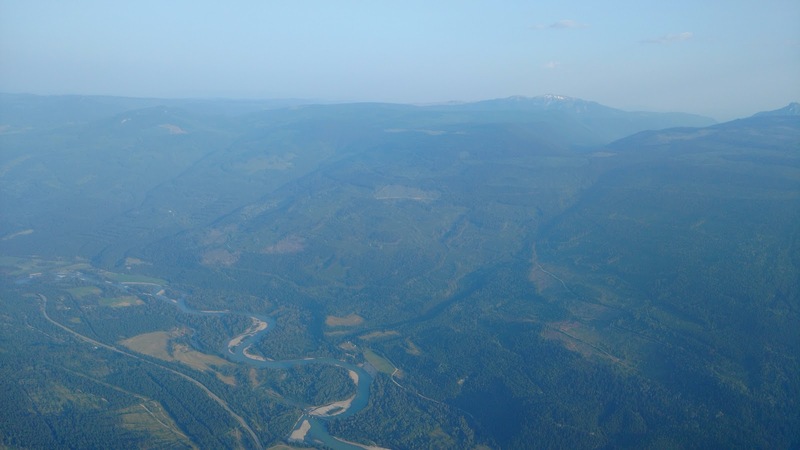 This weekend there were 3 events to choose from: the Willi Muller XC Challenge, the WCSC Pemberton fly-in, and the Clearwater El-Nido fly-in. Alex and I opted for the El-Nido fly-in since we've never flown Clearwater, and with the various smoke and fires around the province, it seemed like the best option. Looking east at El-Nido with the North Thompson River below. Willi Rens and his wife, Sigi, run the local PG tandem operation and do most of the upkeep of the launch and maintaining public relations. 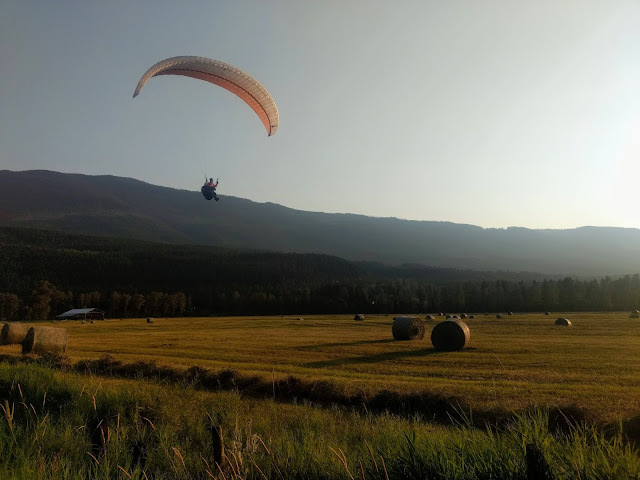 You can see XSky Paragliding signs all over Clearwater :) The launch is an old, now-groomed clearcut, accessed by a high-clearance 2-wheel drive, very-well maintained McCorvie Lakes Forest Service Road. And the LZ is the huge hay field just across the road from Dee's General Store at Birch Island, a perfect spot to grab a cold drink or ice cream after landing and packing up! Looking at the El-Nido ridge with Raft Mountain in the background. The launch faces almost due south, so it starts to work pretty early. It's not high (1000m ASL, about 500m AGL) but plenty for getting up and seeing the potential of the area. If you get high enough, you can easily cross north to Raft Mountain, or south to Dunn Peak. And if you were feeling adventurous enough, you could continue north into Wells Gray Provincial Park or south to Sun Peaks Resort! Sigi coming in to land at the El-Nido LZ. Photo courtesy of Alex Raymont. We had around 20 pilots for the fly-in this year (some came as far as from Smithers! ), and much better weather than last year (when it was so smokey they couldn't see across the valley). 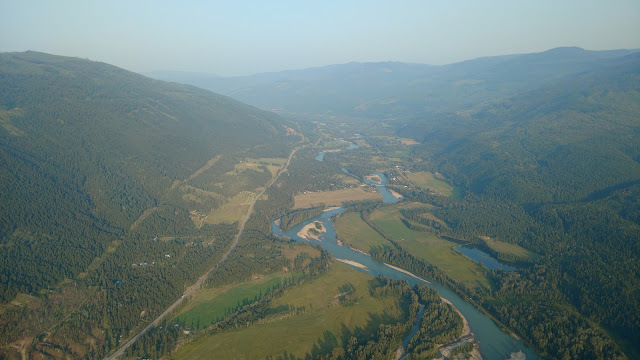 Lots of happy HG and PG pilots each night as we camped out at Willi and Sigi's place or swam in Dutch Lake or braved the colder waters of the North Thompson River. Many thanks to Sigi and Willi for hosting us, and we'll definitely be back! 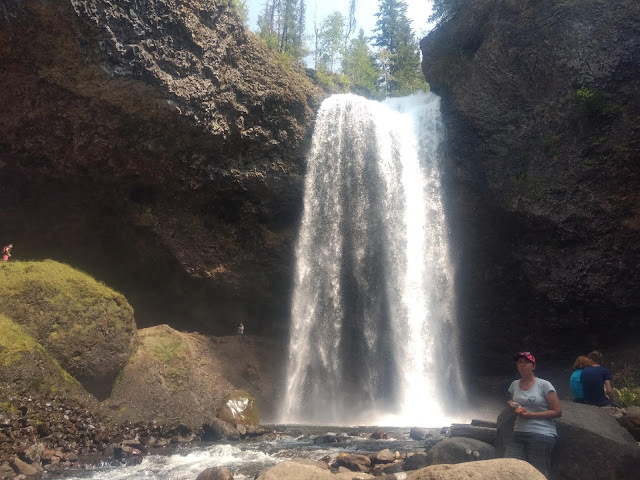 Moul Falls, one of the many waterfalls in Wells Gray Provincial Park. Photo courtesy of Alex Raymont. Nicole, It was a pleasure having you and Alex joining the fun at the El Nido fly-in this Summer. Thanks for sharing it on your informative blog. Sigi and I are hoping to welcome you both again in the future. Anytime. wish we where there too this year. we spend several good flying summers in BC and at El NIDO. Willy and Sigi are realy doing a good job out there!